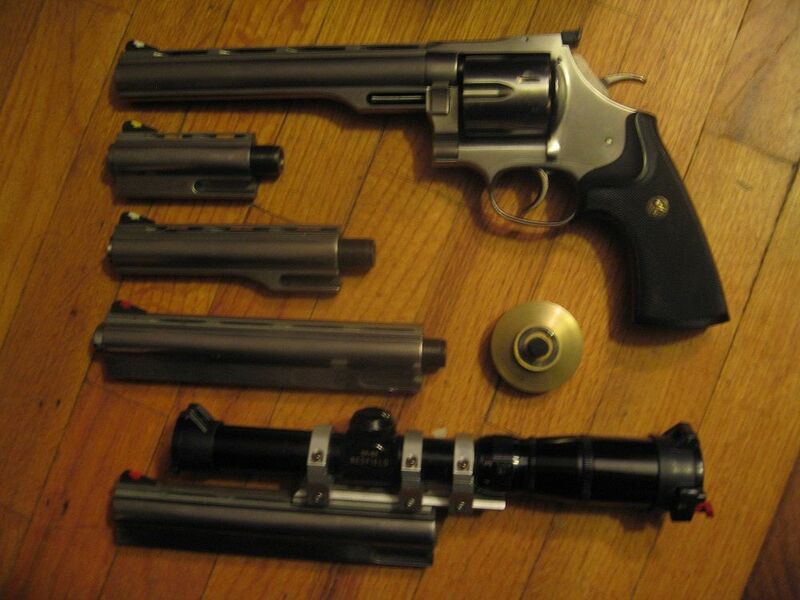 Handgun Hunter Magazine - Forums: Mounting scope on a D. Wesson revolver. You are not logged in. [Log In] Handgun Hunter Magazine » Forums » Discussions » Handgun Hunting » Mounting scope on a D. Wesson revolver. #191773 - 04/07/18 10:10 PM Mounting scope on a D. Wesson revolver. I have a friend who has just picked up an old 8" Dan Wesson .357 mag, and wants to mount a scope on it. It does not have a vented barrel shroud. Any suggestions? Love that "jerry-rigged" extra scope ring! BTW I am the "Colorado Champion" of jerry riggin' myself! I sent my 8" barrel back to CZ and they put a nice looking, functional base on it. No problems with it. CZ still works on the old original models? I think I'll direct my buddy to this location so he can get this info first hand. Go ahead and opt for the drill and tap mount, you'll be glad you did. I installed this Weigand on my 357 Mag. Generated in 0.04 seconds in which 0.009 seconds were spent on a total of 14 queries. Zlib compression enabled.